Microsoft has announced it will stop supporting Windows Phone 8 and Windows Phone 7.8 by September 2014, giving users just 18 months left. Posting a timeline table on its website, the company has outlined that Windows Phone 8 support will end on July 8, 2014, with 7.5 getting the death sentence two months later on September 9. Bizarre. 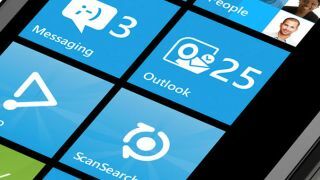 The announcement is another hitn that we could see Windows Phone 9 appear by the end of the year, but It does seem odd that Microsoft would make this announcement without showing off the next big upgrade for Windows phone to keep momentum sustained. Certainly, it's nice to see Redmond being so open about its plans, though it does mean that anyone looking for a 2-year mobile plan right now might be put off the idea of grabbing themselves a Windows Phone. However, this could be a sign that Microsoft has accepted the weak interest in Windows Phone 8, which hasn't fared as well as the company was hoping for. Right now, we don't know what to expect from the next version of Windows Phone. However, Microsoft is reportedly in a struggle to bring its tablet version of Windows 8 to the masses, selling just 1.5 million Surface tablets to date. We contacted Microsoft to ask what the deal with be with Windows Phone 8 hoping for an upgrade in 18 months time, and will update as we hear more.